What this country needs is more robots. This morning found me sharing my bed with a wife, a dog, and three children, all piled in to watch last week’s premier of Face Off. (The family that geeks together gets along together, right?) While watching SyFy (oh, how that name burns), a commercial came on for a new robot competition show, reminiscent of Real Steel, which sparked a great conversation and fond memories. 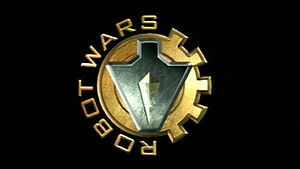 Because what we want to see isn’t another reality show that’s all glitz and glamor, what we want to see is the revival of Robot Wars (UK version, that is. Sorry, the US version was weak and flashy and missing the appeal of the original). In the Time Before Kids™, wife and I rented an apartment that cost as much as our mortgage. As you can imagine, this left us a bit on the penny pinching side. We were fortunate that we lived close enough to the megasuburbia of Northern Virginia/DC that we could get TV over the air (unlike at our current home), which meant we could get the cool PBS from over in MD – the one that still aired Doctor Who, Red Green, and the seminal Robot Wars, UK. Robot Wars UK wasn’t about glitz. It wasn’t even 100% about the battles, although they were glorious. It was about Dads and daughters, sons and cousins, and the blokes you hang out with getting together and building something. Granny’s electric wheelchair made its courageous sacrifice to the cause. Welder’s torches were handled, and felt was applied (lest we forget the Irish ladybug that burst into flames when it hit the competition floor). It was about seeing what kind of crazy genius was lurking inside the guy next door when his robot rolled out with twin saws and no wheels. Watching this show, you wanted to go out and learn how to build a robot yourself. How hard could it be? And that’s what this country needs right now – something to inspire us to go out and be inventive, to creatively explore building something new. Even if it is the chasse to the robots that will ultimately become our robot overlords. And if we know how they’re built, we’ll know how to stop them. Right?